USC’s Josh Shaw lied that injuries from saving drowning nephew. 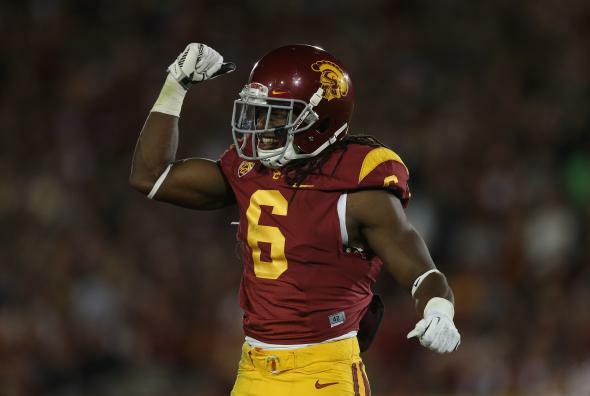 Josh Shaw of the USC Trojans celebrates during a game against the Stanford Cardinal. Shaw was at a family social function when he saw his 7-year-old nephew, who cannot swim, in distress in a pool. Shaw lept from a second-floor balcony and injured himself landing on the concrete below. He then crawled into the pool and got his nephew out safely.